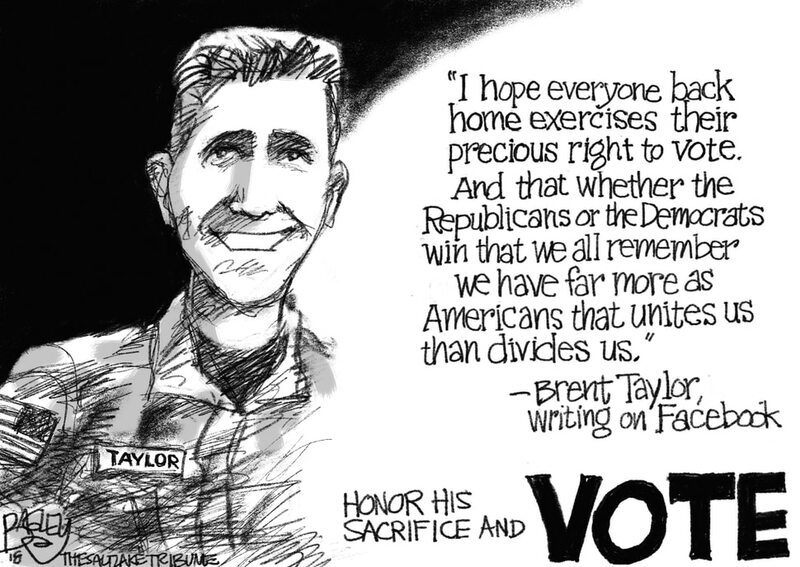 (Pat Bagley | The Salt Lake Tribune) This cartoon by Pat Bagley titled “A Hero's Wish” appears in the Tuesday, Nov. 6, 2018, edition of The Salt Lake Tribune. (Pat Bagley | The Salt Lake Tribune) This cartoon titled Race-Baiter-Chief appears in The Salt Lake Tribune on Sunday, Nov. 4, 2018. 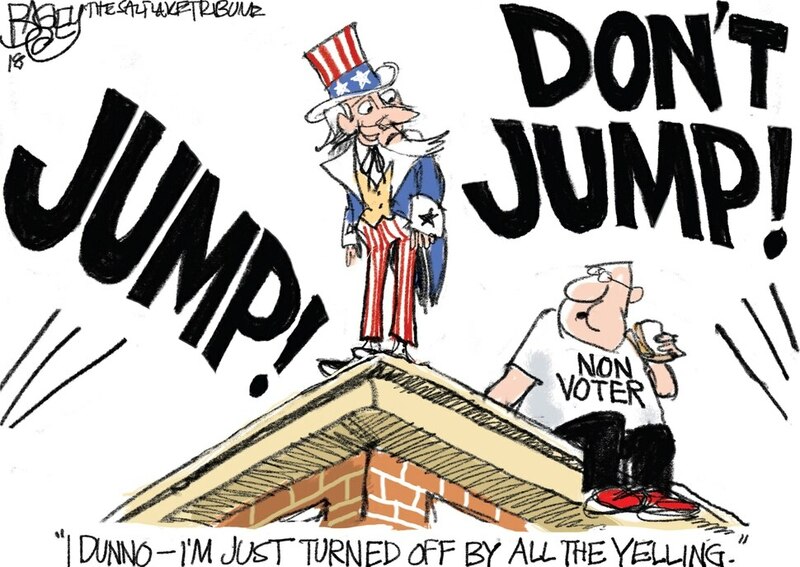 (Pat Bagley | The Salt Lake Tribune) This Pat Bagley cartoon titled Emotional Detachment ran in The Salt Lake Tribune on Friday, Nov. 2, 2018. (Pat Bagley | The Salt Lake Tribune) This cartoon by Pat Bagley is published in The Salt Lake Tribune on Thursday. Nov. 1, 2018. (Pat Bagley | The Salt Lake Tribune) This cartoon by Pat Bagley appears in The Salt Lake Tribune on Wednesday, Oct. 31, 2018. (Pat Bagley | The Salt Lake Tribune) This cartoon by Pat Bagley titled “Best Health Care System in the World!” appears in the Oct. 30, 2018, edition of The Salt Lake Tribune. 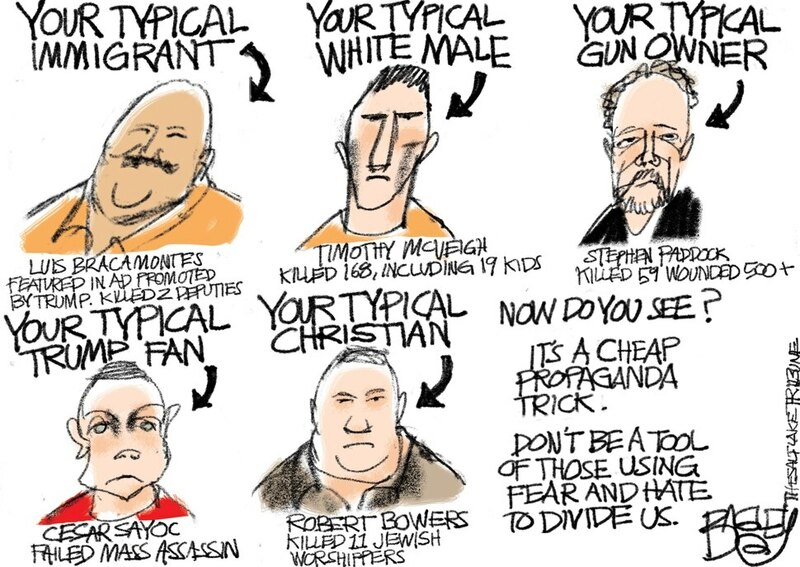 (Pat Bagley | The Salt Lake Tribune) This cartoon by Pat Bagley titled What's Driving Hate appears in the Oct. 27, 2018, edition of The Salt Lake Tribune. (Pat Bagley | The Salt Lake Tribune) This Pat Bagley cartoon, titled “It's A Man's World,” appears in The Salt Lake Tribune on Friday, Oct. 26, 2018. (Pat Bagley | The Salt Lake Tribune) This Pat Bagley cartoon, titled “Critiquing the Saudis,” appears in The Salt Lake Tribune on Thursday, Oct. 25, 2018. (Pat Bagley | The Salt Lake Tribune) This Pat Bagley cartoon, titled “We Don't Not Need Education,” appears in The Salt Lake Tribune on Wednesday, Oct. 24, 2018. (Pat Bagley | The Salt Lake Tribune) This Pat Bagley cartoon, titled “Friends With Emoluments,” appears in The Salt Lake Tribune on Tuesday, Oct. 23, 2018.